A part of our guides for Football Manager Tactics and choosing your playing style. In Football Manager there are hundreds of chairmen and thousands of different clubs, who have their different preferred tactics and playing style. The board and their chairmen will set expectations to the preferred playing style and your approach to team management. The chairmen can impact your coaching style by setting minimum expectations for how you set up your preferred tactic, tactical instructions and at last the clubs football philosophy. Each club will have their set of board expectations which you as the manager needs to work under. These expectations is the foundation to your team management, as they set some ground rules for how you must manage your club in everything related to your Football Manager tactics. 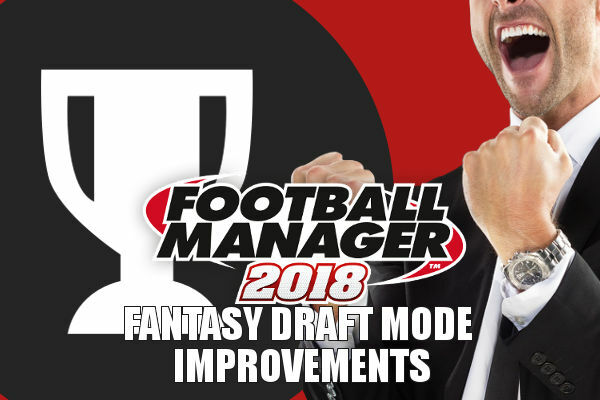 In this post we will discuss all the different football philosophies in Football Manager and what’s expected of you as the manager to increase the boards happiness on how you approach the team management. When starting a new save or taking control of a new club, you as the manager, will be faced to different board expectations and you will have to negotiate and agree on some different board promises. Like the minimum board expectations for the season. which must be negotiated and agreed in the first board conversation. The expectations influences the board satisfaction of your performance and the probability of job insecurity and safety. Like the football philosophy which sets limitations to transfer affairs and (style of) tactic. These expectations are linked to the short term expectations, and could be the decisive reason for the boards reason to sack you. Read more about the different football philosophies and what’s expected of you below. When starting a new save the chairmen will welcome you to the club. In the personal message the chairmen will state your contract and the contract negotiation will set some ground rules for your team management. These expectations for the new season will differ from club to club, but may require you to attempt to implement a certain playing style or directive upon the club, during your spell in charge; also described as football philosophies or board visions. i) Possession Football – Expectations regarding your style of play aka tactic instructions. The board expects your team to have high possession and high completion ratio whilst scoring a good number of total team goals; aka your board expects your team to be totally dominant and win matches and league by a good margin. ii) Attacking Football – Expectations regarding your tactic and match by match performance. The board expects your team to have high goals-to-games and shot-to-games ratio; aka your board expects your team to entertain media and fans with many shots and goals. The match preparations should be set to Attacking for the default match training, to aid development of attacking play. iii) Defense Football – Expectations regarding your tactic and match by match performance. The board expects your team to have a good clean sheets record, a low goals-to-games ratio and a low shots faced-to-games ratio; aka your board expects to be dominant in defensive play by rejecting the opponent to create chances, shots and goals. The match preparations should be set to Defense for the default match training, to aid development of attacking play. iv) Rely on Set-pieces – Expectations to your set-pieces instructions and your utilization of attacking set pieces. The board expects your team to score a lot of goals from set pieces. This board expectations set limitations and expectations regarding player types and player purchases as you might need good free kick takers and players who are sublime and dominant in aerial situations (good heading, jumping, strength). The match preparations should be set to Attacking set pieces as the default match training, to give a boost in attacking set pieces and increase the chances of succeed in attacking set-pieces. v) Sign Players from Chairman/Club nation – Expectations regarding transfers and purchases. The board expects the manager in charge to keep (or improve on) the ratio of first team players from that particular nation in the first team squad; aka sets some limitations to player purchases as you might need to buy home grown players or players from a specific foreign country. It can also set some limitations to scout assignments. vi) High Profile Signings – Expectations regarding transfers and purchases. The board expects the manager in charge to sign a good percentage of first team players with a higher reputation than the club; aka sets some limitations to player purchases as you need to use most of your money to sign high profile players, which can be very difficult to succeed on. vii) Sign Young Players for the First Team – Expectations regarding transfers and purchases. The board expects the manager in charge to sign a good percentage of first team players aged 23 or younger; aka sets some limitations to player purchases and staff signings, as you may want to look for backroom staff and coaches with high working with youngsters for your first team coaching. The board expects the manager in charge to give youth players a chance in the first team. This expectations will set some boundaries to the ratio of youth player signings (under the age of 18), as you need players with much potential and a good level of present ability. It will also affect you as the manager, as you need to trust your younger players to perform on a higher level and be patience despite irregular performances. When talking about team management, you need to want to surround yourself with coaches with excellent staff attributes in Working with Youngsters, as you want to have a professional backroom staff who can give excellent results in youth development. As you later will discover, this football philosophy will be a unique style of team management expressed through the personality of the manager which will be influenced through all decisions in team management and player development. Youth development needs to be incorporated and controlled from day to day, for a longer period of time, and is a way of living for your entire club culture rather than something one manager or backroom staff can succeed with by himself. In addition to the board expectations you have the expectations from the fans and media on how they want you to run the team; which players who should be purchased to aid team performance, which type of tactic and playing philosophy you should adopt or their expectations regarding league position and success. As I see it, the board can be influenced by the board and media. If you fail to succeed under the present circumstances and according to the agreed board expectations the board confidence in you will drop and could result in you being sacked. If you succeed with the team performance despite not reaching the expected board expectations regarding football philosophy and style of play, the board will be more flexible towards you. But it could be a narrow edge not to try to meet the board expectations. Each philosophical agreement will have its own section within the ‘Board Confidence’ screen, so you’re always kept abreast of how your attempt at working towards success is going. When things aren’t going so well on the pitch, attempting to adhere to your promises may keep you in a job. If your team is succeeding and you’re keeping your end of the philosophical bargain, the board will become even more flexible towards you in the years to come.